I think we all know the outcome of this...GM will deny there is an issue and the fanboys will continue to buy their inferior products. 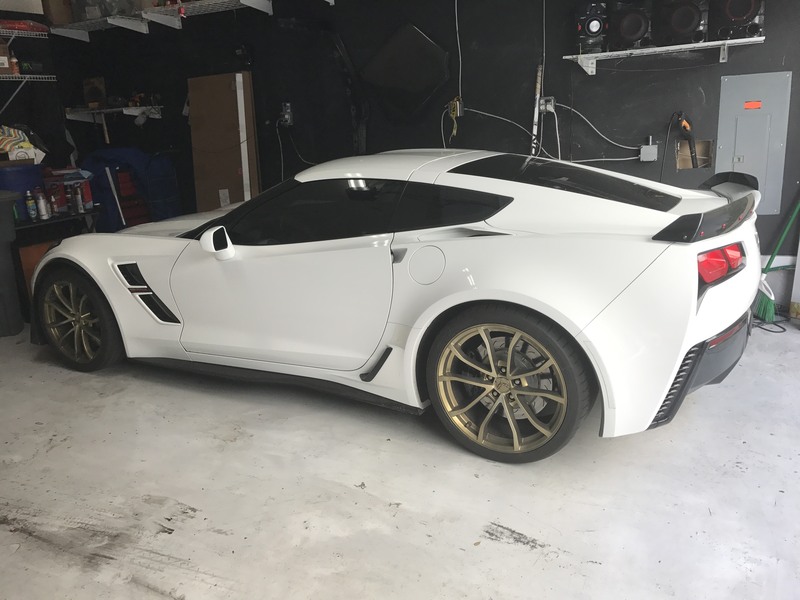 They have forged wheels on the ZL1 camaro but not on the corvette. Maybe there can be ANOTHER class action suit this time for inferior wheels. How many other design flaws will be revealed before someone gets the ax at GM for engineering inferior products? 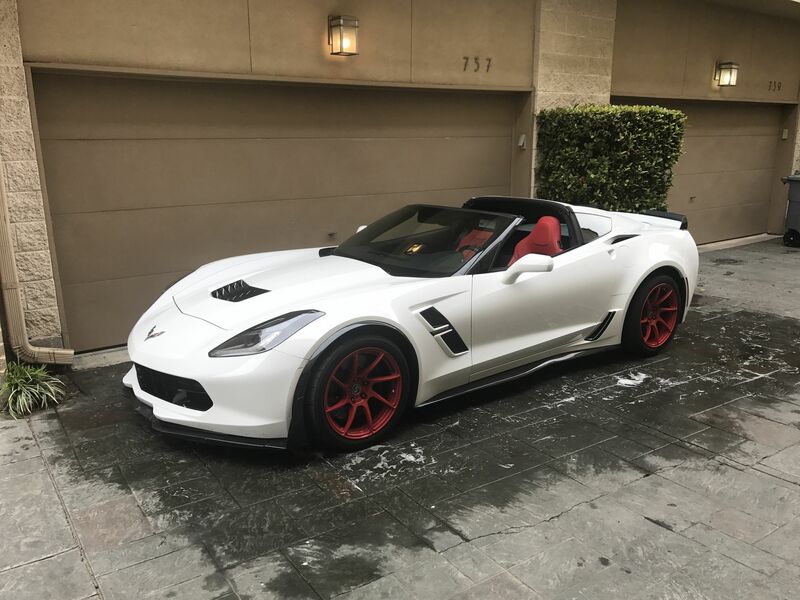 Forged wheels should be standard on a Corvette. Can't understand why the Camaro has stronger wheels. I'm about to order a GS. are any of the wheel options stronger than others?? and are there extended warranty packages that will cover wheels? Last edited by IRMB; 02-03-2018 at 01:47 PM. 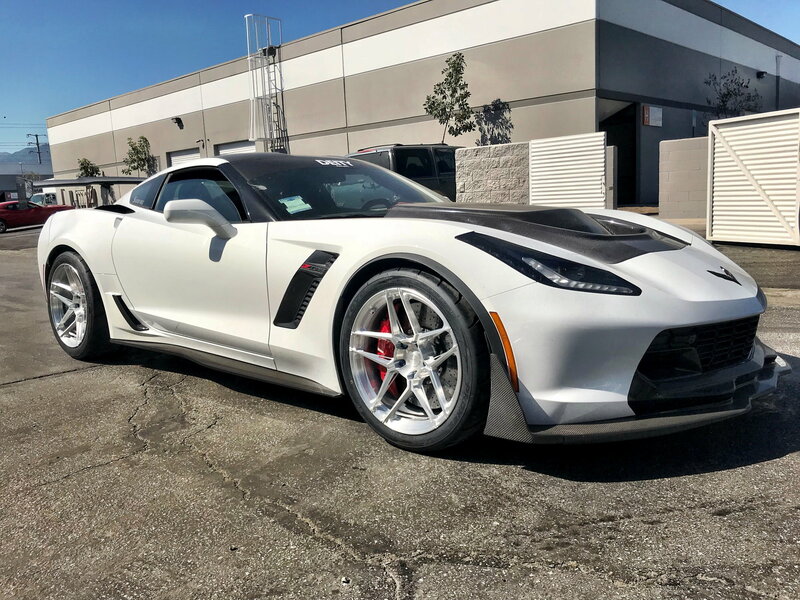 All the wheel options are non forged aluminum, unlike the camaro ZL1. Your dealer may have a road hazard warranty available but make sure it cover wheels and to what extent they are covered. You can't have everything for 65k people. The car beats the GT3RS and the 570S on a road courses and does it looking damn good. They have to compromise somewhere. You want DCT's, forged wheels, carbon everything and low weight...spend 220k and you can have it. Very pleased with my machined faced aluminum wheels. Have had no issues in ~9 months. Last edited by JerryU; 02-12-2018 at 07:12 AM. 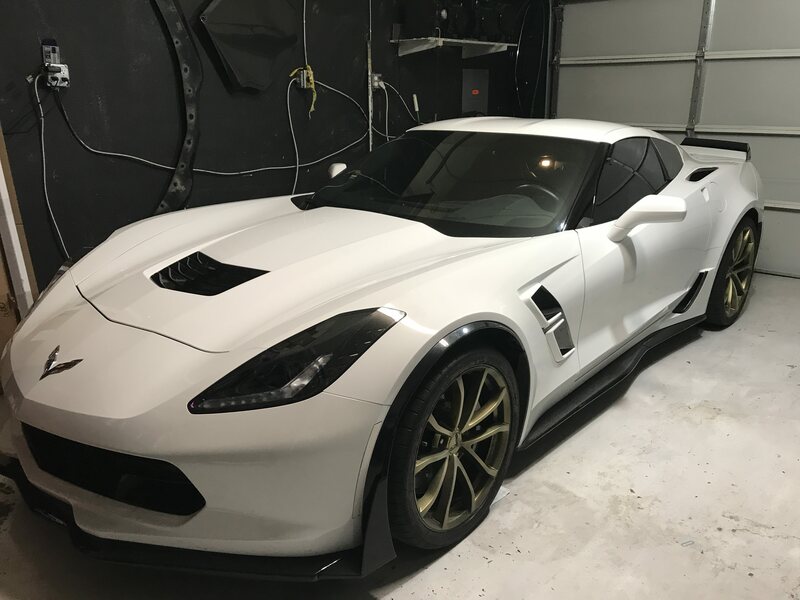 what about the guys that spent $100k plus on a Z06? Can we have wheels that don’t bend and crack or is that asking too much? Huh? So wheels that literally get ruined by driving on public roads should be acceptable on cars with MSRPs of 60K and up? 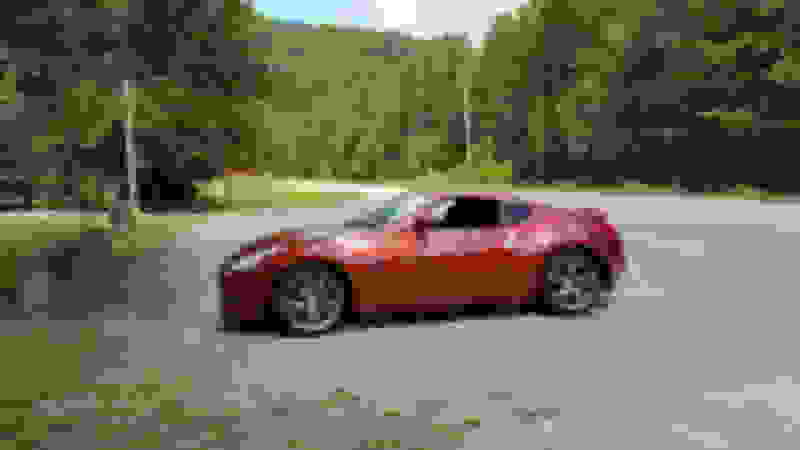 When my last car, a $40K 370Z with sports package had Rays forged alloy wheels? 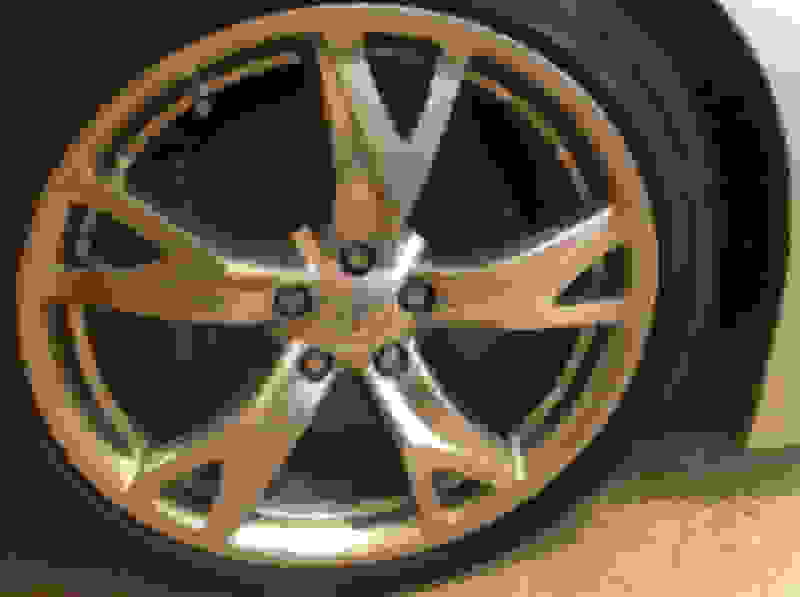 How much more would forged wheels have cost? I have to believe there was some room in a 60K -110K budget to squeeze in wheels that w9nt destroy themselves by driving. I get why they aren't standard on the base car and maybe even Z51. At the very least, they should be an option. The GS and Z06, it should be standard. the MSRP on my 370Z Sport/Touring was $38k and the Rays forged wheels never let me down. This specialized process begins with a low pressure type of casting and uses a special machine that spins the initial casting, heats the outer portion of the casting and then uses steel rollers pressed against the rim area to pull the rim to its final width and shape. The combination of the heat, pressure and spinning create a rim area with the strength similar to a forged wheel without the high cost of the forging. Some of the special wheels produced for the O.E.M. high performance or limited production vehicles utilize this type of technology resulting in a light and strong wheel at a reasonable cost. O.Z. has used this technology for several years in their production of racing wheels for Formula One and Indy cars. O.Z. 's Formula HLT wheel for the aftermarket is an example of a wheel produced using spun-rim technology. All the above said it’s the wheel design IMO NOT the manufacturing method that is the issue! Last edited by JerryU; 02-12-2018 at 07:07 AM. I took my 2017 GS in because I felt a vibration in the steering wheel , told them to check balance on all four wheels , turns out all four wheels are out of round  they was able to balance them but two are worse than the other . I don’t believe this is from the ruff roads because the right front and left rear are the worse ones. Gonna go to my dealer and see what they tell me. Needless to say I’m steaming mad right now. Last edited by vince1995; 05-25-2018 at 03:51 PM. But there’s no problem, right Chevy? Our problem is the small size of the Vette population. So anyone who has had this happen, I hope you go to the Feds and complain so the problem can (hopefully) be recognized as recall-worthy. Sqeaky wheel time. What's next with this car? 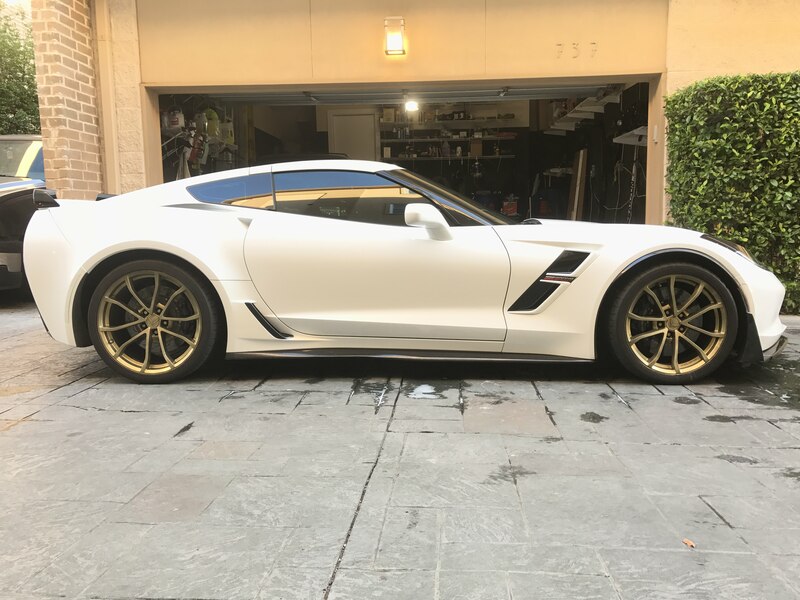 These wheels should have been forged from the factory Like the ZL1 camaro which costs around the price of a BASE stingray. Of course they can ‘listen better’. GM just sits behind their dealers who tell customers it’s their own fault. It’s a GM dealership these cars are taken to for evaluation. Listening and appreciating the problem starts with the service advisors. This pattern should be readily evident to them. Instead the dealers get away with price gouging customers for $700 a wheel for a replacement. My Nissan 370Z had forged wheels and cost me $36,000 when purchased new. Never bent one on the street or the track and I drove it through Chicago’s potholed streets 12 months a year. The Z06 wheels would bend in a week there. 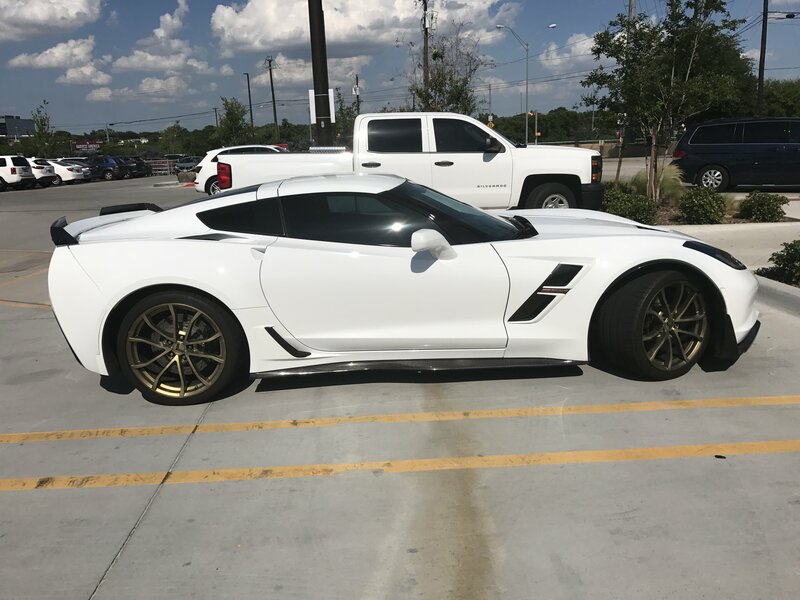 I don’t know how anyone drives a corvette and doesn’t bend these wheels on northern roads. 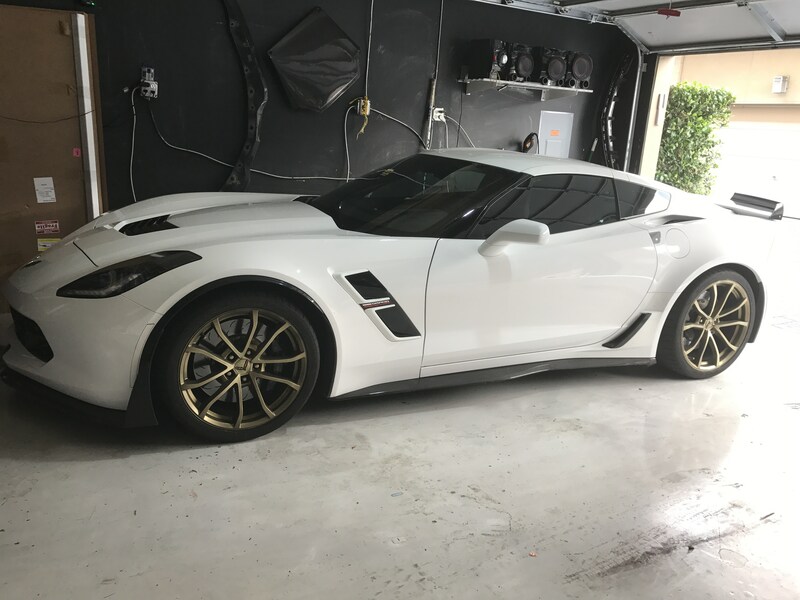 I borrowed z06 wheels from a friend and put cup2 tires on them. I did 2 or 3 track days on them- nothing more. Drove maybe 200 street miles. Somehow bent one. Track has no hard curbing or anything. As soon as I can decide which color I want, I'm getting a set of signature wheels and selling my OEM wheels. Last edited by village idiot; 05-29-2018 at 09:05 PM. Any recommendations of forged wheels you think look good on a Grand Sport? Last edited by village idiot; 05-30-2018 at 12:54 PM.